Chris has more than 10 years of experience guiding clients and case teams through the eDiscovery process, which spans all phases of the Electronic Discovery Reference Model. 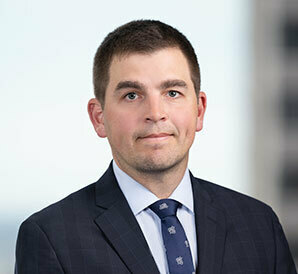 Chris helps clients and case teams identify, preserve, collect, process, review, analyze, produce and present evidence for litigation matters at the Firm. Through each of those steps, Chris has created cost-effective and efficient solutions to help clients and case teams on a number of complex eDiscovery matters by offering common sense solutions to complicated problems. As the Litigation Support Manager at Barack Ferrazzano, Chris also administers BF Discovery’s instance of Relativity that is used by the Firm and its clients to service all aspects of document processing, review, analysis and production. Chris is the current President of CALSM, which is a non-profit educational group whose mission is to be an educational resource and thought leader in eDiscovery.